Racing Legend Jackie Stewart says of Champ, Lewis Hamilton A 'Little Ballerina' - GeekCast en Español..
Lewis Hamilton’s last-ditch attempt to win the 2016 Formula One drivers’ title by driving like an overly cautious teenager entering a highway ramp in the Abu Dhabi season finale didn’t go over well, and three-time F1 champion Jackie Stewart called him a “little ballerina” who should be punished. Going into the Abu Dhabi Grand Prix, Hamilton was in a bad spot—teammate and now-retired F1 driver Nico Rosberg had to finish the race off of the podium for Hamilton to have a chance at the title, which wasn’t a likely outcome given that Rosberg won nine of the 21 races in 2016. But when the race started to wind down, Rosberg actually had pressure from the two drivers behind him. Seeing the potential there, Hamilton purposely slowed down and bunched the field up like a bus on a two-lane highway. That dropped Rosberg directly into the line of fire from Sebastian Vettel and Max Verstappen, making the possibility for him to finish off of the podium a lot more likely than it probably should have been. 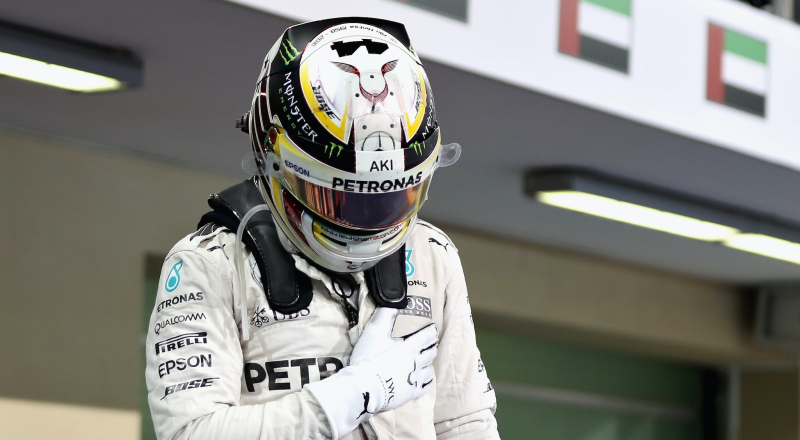 Hamilton ignored repeated orders from his Mercedes team to speed up, saying: “I’m in the lead right now. I’m quite comfortable where I am.” But Rosberg held his spot on the podium, clinching his first F1 championship. Hamilton’s driving has been defended by Red Bull boss Christian Horner and Ferrari’s Kimi Raikkonen, though Sebastian Vettel accused the Mercedes driver of employing “dirty tricks”. Stewart thinks his fellow countryman and three-time world champion deserves to be punished. “I think he [Hamilton] can be a little ballerina,” Stewart told the Press Association. “Toto Wolff and Niki Lauda are not stupid people, and neither is the Mercedes chairman who often comes to grands prix. Unless they’re all blocking each other from the front row of the recital to suit their own best interests, the little ballerinas of the world are probably slightly offended at this one. Though Mercedes is unsure how to deal with Hamilton’s actions, Stewart thinks the punishment should be meaningful enough to deter him from doing anything similar again. If anything, we all now know that even Hamilton and his millions of pounds of money aren’t immune to the “You darn kids don’t work nearly as hard as we did back in the day” argument. That’s comforting. Meanwhile, the Telegraph reports that Stewart, who retired at the age of 34 in 1973, commended Nico Rosberg for his shock retirement from F1 on Friday at age 31.